Tribeup Academy is the leading digital marketing corporate training company since 2015. Our digital marketing corporate training modules are developed based on our 8 years experience operating a digital agency since 2010. We believe in learning by doing-by-doing especially when it comes to digital marketing. Our digital marketing corporate training modules always emphasize on a good blend of theory and hands-on sessions to ensure optimum learning experience for participants. Why Tribeup Academy? 2 reasons. 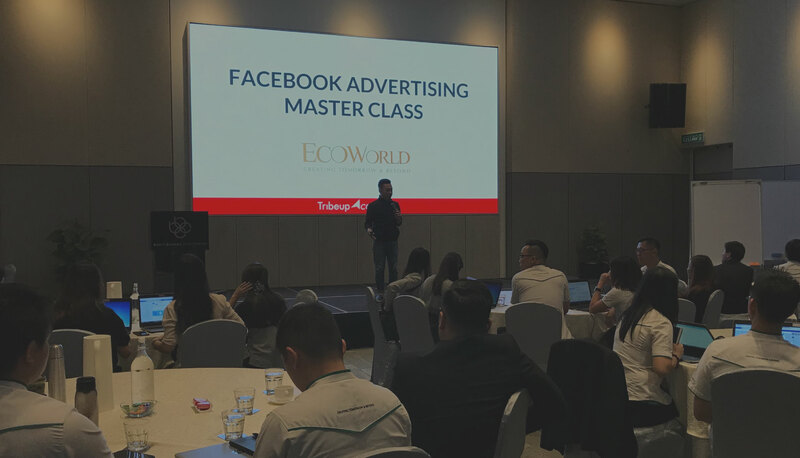 Firstly, we are practitioners and manage hundreds of thousands in Facebook ads spend monthly. Secondly, we’re Facebook Blueprint Certified. Click the badges below to view the certificates. Learn from digital agency that manages hundreds of thousands monthly on Facebook ads spend. Properly guided, practical hands-on training for important techniques demostrated. Guided by Facebook Blueprint training, you’ll be trained by Facebook Certified Professional. Let’s get in touch to plan for your next digital marketing corporate training for your team. Below are the topics we specialize in, however our digital marketing corporate trainings are customizable to meet your needs. Please fill in the form below and we will be in touch soonest to discuss your next digital marketing corporate training. Please provide some details of the participants, e.g. marketing, sales, management, etc. Share with us what type of corporate training you require to meet your objective. Please provide 2-3 preferred training dates. Please leave your additional message here.